All healing modalities are meant to supplement your healthcare needs and help you maintain a healthy lifestyle. I have made these daily practices for myself. I can honestly say even practicing one modality will make a positive impact in your life. Please read the options carefully and contact me when you think you have found one which resonates with you. Many costs listed are average as the costs for space varies from place to place. I am willing to come to your home or business to facilitate any of the sessions, circles, classes or workshops. QOYA: A healing movement class which helps us to remember our essence as wise, wild and free. You will slow down and feel. You will open your heart, mind and spirit as well as connect with yourself and community. Please bring a beach towel or a yoga mat and an open mind and heart. The average cost of a class is $15.00 per person for a 75 minute class experience. Qoya Personalized Ritual Movements: Based on a short series of questions and your answers, I will develop a personal movement ritual of healing just for you. This can be done at your home, my Toms River location or even on Face Time. Cost $40.00. SOUND HEALING/BATHS: The power of vibrational healing is like no other. Whether it be the healing of Mozart perfectly aligning with our brains, or a variety of tones from bowls to gongs connecting directly with our bodies at the cellular level, sound can heal. Along with your favorite music choice, personal toning and humming are both healing. Don Campbell, author of The Mozart Effect, healed a brain tumor he had through the use of humming and visualization. I offer personalized sound healing baths or group sessions in which I utilize instruments such as Koshi bells, Tibetan bowls, crystal singing bowls, various drums, tuning forks, and rattles to relax passive participants into the Alpha state for healing. The average cost is $15 a person for a group session. This lasts approximately from forty five minutes to an hour. Private half hour sessions are available for $40.00 at my location. $55.00 at your home or business. 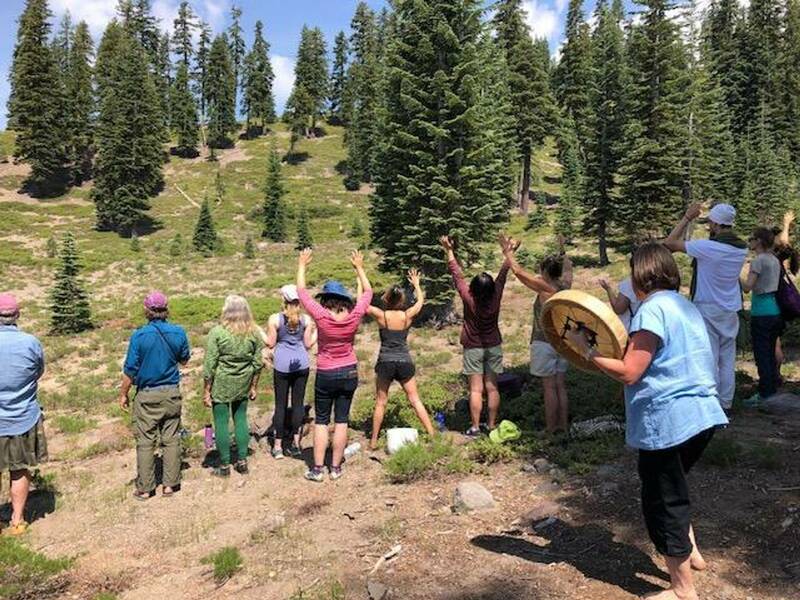 HEALING RHYTHMS: The purpose of this class is for the attendee to let go, relax and to receive healing in a safe place through a Rhythmic Healing Circle. Healing Rhythms is an evening where participants can explore, experience and journey to incredible heights with sound accompanied by a drum. Healing Rhythms is not a traditional drum circle, it is an evening where participants join together through intention, guidance and sound to receive and offer healing through the drum. Each circle combines partnered exercises, solo experiences and connections to spirit in the form of healing. Healing Rhythms is originated by Al Romao and is Shamanic in its structure but no Shamanic experience is required, all levels of experience in drumming and journeying are welcome. Average cost is $15.00 per person for a 75 minute experience. DRUM CIRCLES: Remo style of Health Rhythms. Come experience the power of the drum to relax, energize and heal. A hand drum has the ability to create states of euphoria, promote play, release anger, pain or stress as well as to promote feelings of community, unity and well being. Please bring a percussion instrument. If you do not have one there are a few available for you to borrow or you can bring an empty can or oatmeal container with dry beans or small stones in it. Be creative! The average cost per person for an unstructured drum circle is $10.00. The time can run for an hour or longer. Stay as long as you like and people are free to come and go as they please. I offer structured drum classes for any group. I can bring drums for about fifteen people. Drum rental is available for larger groups. This group drumming can be a one time deal as an intro to drumming or a series of four or six classes, usually once a week. Please contact me for details. REIKI: The word Reiki is made of two Japanese words - Rei which means "God's Wisdom or the Higher Power" and Ki which is "life force energy". So Reiki is actually "spiritually guided life force energy." A treatment/session feels like a wonderful glowing radiance that flows through and around you. Reiki treats the whole person including body, emotions, mind and spirit creating many beneficial effects that include relaxation and feelings of peace, security and well being. Many recipients have reported miraculous healing results. As a Reiki Master, I am one of God's conduits for healing. I offer personal Reiki sessions which typically last an hour. The cost for a session is $70.00 at my Toms River location. I can come to you for $85.00. As a Reiki Master/Teacher, I teach Reiki l, Reiki ll and Reiki Master classes individually as well as group classes. A Reiki l class costs $135.00. A Reiki ll class costs $150.00. A Reiki Master/ Teacher training occurs on multiple days and costs $300.00. Free Reiki shares offered bi-monthly. I offer discounted rates if you bring a friend or if you would like me to come to your organization to teach a group. Contact me. SHAMANIC HEALING: As a Shamanic Practitioner, I work with Spirit and become a conduit, a hollow bone if you will for Spirit and guides to come through me to help you, the client on a deep spiritual level. There may be drumming, rattling, Limpia, various sound instruments, chanting or songs during the practice to help with the healing process. The healing can occur on multiple levels. I will do a divination before ceremony either before you arrive or with you present. We will also talk before and at the end of the healing ceremony. The time period of a session can be somewhere between 90 minutes and 120 minutes. The cost for a session is $125.00. As a Shamanic Practitioner, I offer house, land and business blessings using Spirit to guide me as to what is necessary for a particular location, be it to restore balance and harmony to the property through the removal of old energy, or to free lost or confused spirits. These typically last 2 to 3 hours and typically includes a variety of ceremonies and rituals meant to honor the property. Smudging, which uses the burning of sacred herbs, like sage for example, to clear the old energy of the space and cleanse the air. Aspersion and Limpia which utilize sacred Florida water and sacred plants to release unnecessary energy which has accumulated in the space. Rattling, which further clears stagnant or stuck energies of the land. Despacho ceremony which uses a sacred bundle to honor the land, Mother Earth and the ancestors. It is often the responsibility of the land or house owner releases or buries on the land after 24 hours to close this ritual. Drumming ritual utilizing the Medicine wheel again to honor the land in order to acknowledge the connection of the space with the directions and further connect with Spirit. Connection to the spirit of the space, here is where I get any messages from the space. The land/house could be in need a final healing or want to tell the owners something. I comply with the space spirit and complete what is necessary before finishing the entire sacred process. The cost for this runs between $150.00 and $250.00 depending on the size and location of your house/property. MINDFULNESS: Mindfulness is paying attention to the here and now (present moment) with acceptance and non-judgment, kindness and curiosity. I offer individual and group sessions/classes. They can be one time introductory classes or series of classes, again four or six week sessions once a week work well. All classes offer practical hands on experiences as well as a bit of scientific documentation and background. The group cost starts at $15.00 per person for an hour with discounts given on series attendance. Individual costs start at $40.00. I will come to you but know there will be a fee for tolls and gas. I also offer teacher training for classroom use. The best practice is your individual practice as that filters down to everyone you interact with. Coming soon: Munay Ki Rites and individualized Feng Shui.